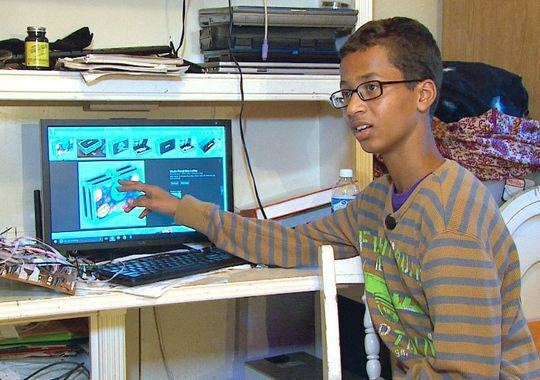 A 14-year-old Muslim boy from Texas was arrested when a clock he had built himself was mistaken for a bomb. 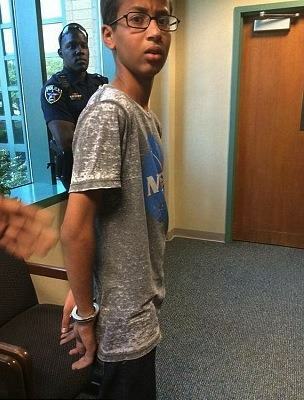 Ahmed Mohamed was hoping to impress his teachers at MacArthur High with his design skills, but instead he found himself being questioned by police, The Dallas Morning News reports. Later in the day, his English teacher complained when the clock beeped, and he showed it to her at the end of class to explain what it was. She told him it looked like a bomb and confiscated it. They searched his stuff and questioned him, and the principal threatened to expel him if he didn’t make a written statement. We have no information that he claimed it was a bomb. 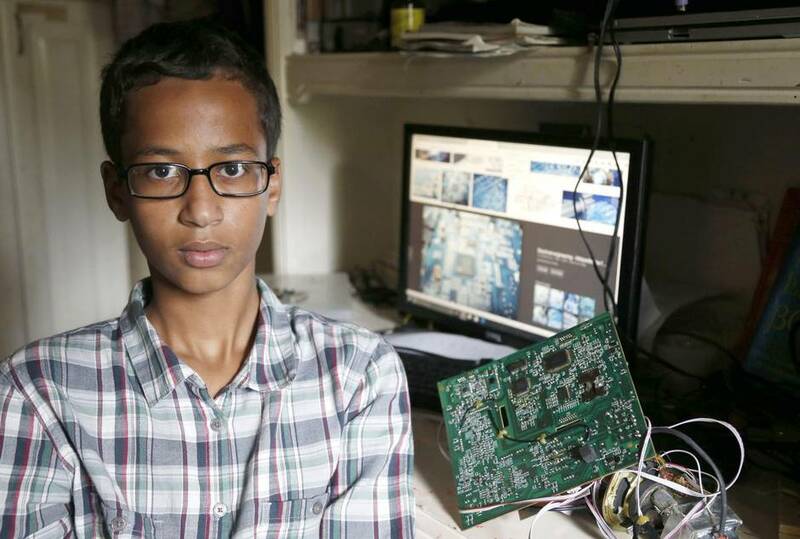 He kept maintaining it was a clock, but there was no broader explanation. It could reasonably be mistaken as a device if left in a bathroom or under a car. The concern was, what was this thing built for? Do we take him into custody? He was kept in a juvenile detention facility but was later released. Police are still investigating and, incredibly, say they may still charge him with making a hoax bomb. The Council on American-Islamic Relations are also investigating the incident, saying: “This all raises a red flag for us: how Irving’s government entities are operating in the current climate”. Welcome to the land of the free. And on that note, I’m off to call the authorities, there’s a massive bomb on my wall and it seems to be ticking down.